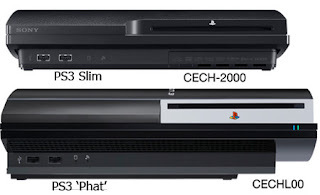 Wowee, big news at Gamescom with the PS3 Slim announced. Every feature of the current 80GB PS3 phat except the power button on the back, but with additional Bravia synch support and it features a 120GB hard drive. On top of the announcement of a 33% lighter and 36% smaller PS3 they also lowered the price on existing PS3's immediately to $299 which will also be the price of the PS3 Slim when it launches Sept. 1st. This is huge news for Sony and will be a game changing moment for them. Many people have held off buying a PS3 due to the prohibitive price point and this is the time for them to buy. 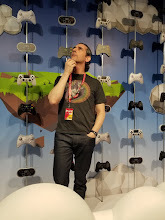 This year many games are coming only on PS3 led by Uncharted 2 we also have Demon's Souls, EyePet, Gran Turismo 5, Ratchet and Clank Future: A Crack in Time, PixelJunk Shooter, The Last Guardian and Heavy Rain.